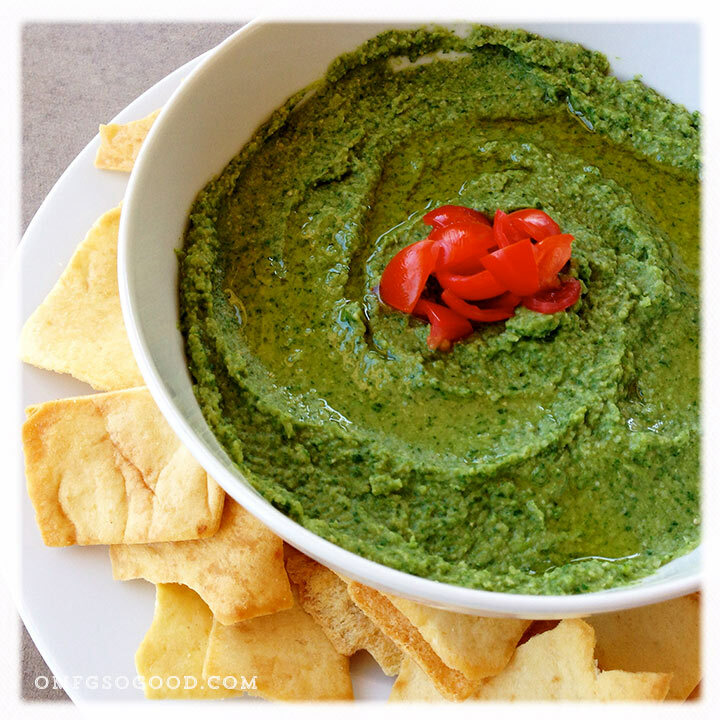 spinach & artichoke hummus | omfg. so good. Lately I’ve been making a ton of hummus at home. It’s one of my Little Buddy’s favorite snacks, and if he’s going to consume anything healthy of his own free will then I’m going to indulge his every request to make some. We found out earlier this year that he has a sesame seed allergy, which rules out store-bought hummus for us. I don’t mind at all since it’s super easy to make, and we can customize our own flavors to suit our mood for the day. Gotta keep things interesting, folks. This particular combination is topping our list of favorites. It’s reminiscent of the über-fattening baked spinach artichoke dip we all know and love, but easier to make and way less guilt inducing to eat. To start, steam the fresh spinach until it’s wilted, then drain, rinse with cold water and squeeze out any excess liquid. You want it to be as juice free as possible, so give it a good smooshing. 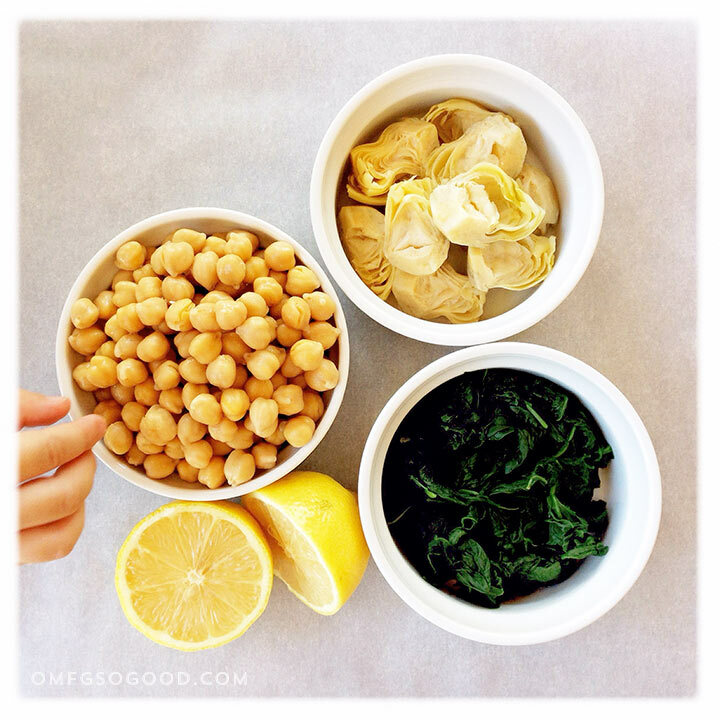 Here’s a little tip: For super smooth and creamy hummus, take some extra time and remove the thin skins from the chickpeas. Sounds like a pain, but kids dig helping with this part. And it’s so worth it. Isn’t it pretty? Yeah, boooooy. Genius! I have got to try this! I think I have all the ingredients too.